Rabies is a disease or commonly known as "mad dog", is a serious disease that attacks the brain and nervous system. The disease is classified as a fatal disease that must be dealt with quickly. Rabies is caused by a virus lyssaviruses. The virus is transmitted to humans by animals that previously have contracted the disease as well. A person can be infected with rabies if the saliva of a rabid animal is entered into his body through bites, scratches can even pass rabies if the animal has previously been licking her nails. In some rare cases, a person infected with rabies because of wounds in his body licked by an infected animal. Are all humans are bitten by an infected animal can be infected with rabies? The answer is no. Humans who have been vaccinated against rabies will be immune to the virus. In theory, rabies transmission from humans to humans can occur. But in a case like that, so far proven is the transmission through organ transplants. Until now there has been no test that can detect when a person is exposed to rabies new bitten. New rabies known if the virus is finished incubate and launch terror through the symptoms. Therefore, to determine whether or not a person exposed to rabies, doctors refer only to the patient information. In doing diagnosis doctor may ask if the patient has visited places or areas prone to rabies and whether the patient has been bitten by an animal that could potentially carry the virus of the disease. If you have been bitten by an animal that is potentially transmit rabies, which need to do first is to wash the bite wound with soap and clean running water. Subsequently clean the wound with antiseptic or alcohol use. Do not cover the wound with a bandage, gauze, or whatever. So in other words let the wound remains open. Immediately go to the hospital or the nearest health clinic to be examined further. If the rabies virus infects a person is still in the early stages or before symptoms appear, the doctor will perform the treatment of the so-called post-exposure prophylaxis. In such treatment, the doctor will clean the infected site, as well as providing a series of vaccinations to prevent the virus from spreading to the brain and nervous system. In the majority of rabies cases are handled on stage, post-exposure prophylactic treatment is proven ineffectively. If rabies has reached the stage of the symptoms, the risk of death was lurking. In this phase, the doctor will usually be focused to make the patient calm and comfortable as possible. 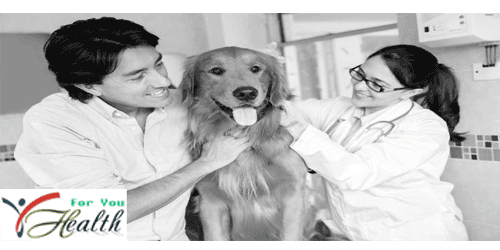 Transmission of rabies can be prevented through vaccination . Periodic vaccination is usually only given to those who are in work often interact with the animals so high potential for developing, for example, is a veterinarian and zoo officials. Rabies vaccination usually does not need to be given to those who will only do a short vacation to the countryside. Keeping yourself and your family from rabies virus transmission is not difficult. When visiting the village or rural areas that have not been free from rabies, keep you and your family do not carelessly touch wild animals. Teach your children about the dangers of the wild animal preserve, and why. If there are injuries to your children, ask them where the injury came as feared obtained from the bite or scratch of an infected animal with rabies. Educate your children in order to understand that animal bites can be dangerous.